Step 2 Blend the butter, eggs, erythritol, vanilla essence and coconut milk. Add the coconut flour, baking powder and salt. Whisk until the batter is smooth Pour the batter into cupcake cups. Bake for 20-25 minutes until firm. Remove from the oven and allow to cool. With a small knife, cut an upside-down, shallow cone shape out the top of the cake and then cut this in half. 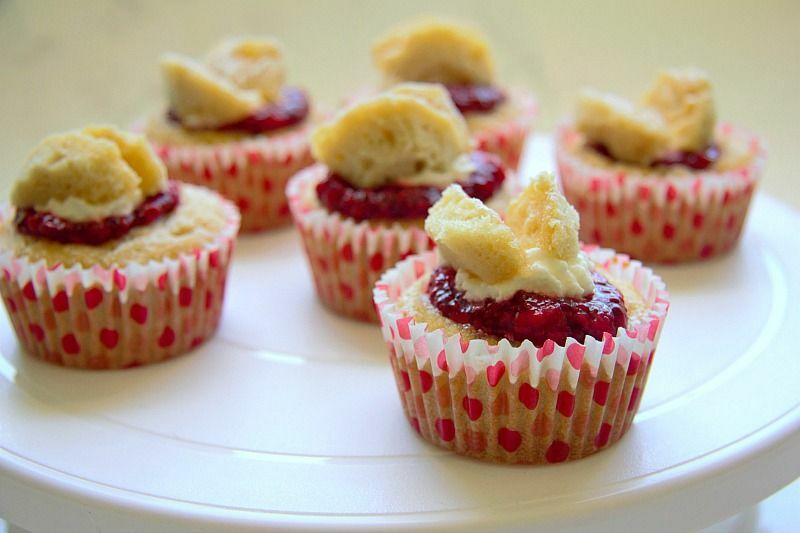 Fill the holes in the cupcakes with the raspberry chia jam, then spoon the cream on top. Step 3 Place the two cut circle halves on top of the cupcake, with the long side next to each other, making the “butterfly” wings. Traditional butterfly cakes have been made low carb with this recipe using coconut flour. Simple and delicious cake recipe to enjoy with your afternoon coffee or tea.